It may be hard to imagine now, but after many months of hard work and detailed planning, your wedding day will suddenly arrive… and zooooom! The hours will fly by in a blur of beautiful, moving, memorable moments. And after the cake has been eaten, the dress has been carefully put away, and the gifts have been opened – you and your new spouse will be left with the most precious gift of all: memories of your special day. There is simply no better way to capture and preserve these memories than with a collection of beautiful photographs that not only document the day and its events, but also embody the emotions and spirit of your wedding. Quite frankly, this is simply nota component of your wedding planning to treat lightly! Invest the time, attention and budget necessary to ensure that your wedding memories will be preserved for the future. 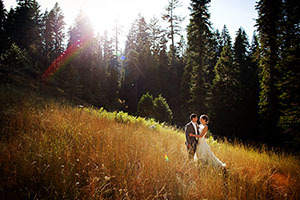 Start by determining which style of wedding photography is right for you and your fiancé. Here are brief descriptions of the three main styles. Formal or traditional. This style produces color, posed portraits of you and your groom, your wedding party, and your families, along with all of the traditional wedding moments such as the cake cutting and bouquet/garter toss. Photojournalistic. This style is a popular trend in wedding photography, and it means your photographer will be shooting your wedding as if it’s a news event, capturing hundreds of candid moments on film. These photographers tend to use more black & white film, for a classic, timeless and emotional effect. Artistic. Artistic photographers use a variety of special effects to create a dramatic, one-of-a-kind piece of art. Effects could include double exposures, hand tinting, special borders and much more. Most photographers offer a blend of two or more styles, but tend to specialize in, and focus on, just one. If you like the photojournalistic style, but want some posed formal portraits to showcase your families or the day’s special moments, find a photographer that can comfortably do both. So which style is right for you? The first step is to think about the end product: what is most important to you, to have after your wedding? Do you definitely want to have beautiful, timeless, color portraits of you and your groom that you can elegantly frame and display? Do you want a large number of candid, heartfelt moments – many captured in black & white, to document your day? Are you envisioning a one-of-a-kind, artistic piece to hang on your wall after the wedding that incorporates one or more images from the big event? To help you, take a look at friends’ wedding albums, surf around professional photographer’s web sites, clip photos from magazines of photography that moves you, and spend some time in photographers’ booths at wedding shows. All of this research will help you zero in on what style of photography you seem drawn to, and ultimately, which one you want to use for your wedding. How to find the right photographer. Once you’ve established the style that is best for you, it’s time to find a professional photographer that meets your needs. Start the process by collecting referrals from friends, reviewing helpful resources like Premier Bride, attending bridal shows and surfing the Internet. Create a short list of potential photographers that specialize in the style you desire, based on their work and your budget, and set up an in-person or phone consultation with them. Do you like their work? Be sure to see complete wedding albums along with individual photos, to get the best idea of the end product you can expect to receive. Also, be very sure that you know exactly WHO will be shooting YOUR wedding – and view their work, as some larger studios have more than one photographer. Do your personalities mesh? Of all your wedding vendors, the photographer is the one vendor with whom you will spend a good deal of time on your wedding day. You want to feel comfortable with this person! Even if he or she is a great photographer, if your personalities just don’t ‘click’ – you may want to keep looking. Do they fit your budget? It’s so critical to have a budget amount in mind before looking for a photographer, so that you can feel confident that the one you’ve decided on, and love, also meets your financial requirements. The different parts of a photography package. As you’re selecting your photographer, it may help to be aware of the various elements generally included in wedding photography packages. Most photographers also offer these elements ‘a la carte,’ or can create a custom package that specifically meets your needs – so be sure to ask. Parents’ albums. The parents’ albums are smaller versions of the bride & groom album, and have traditionally included about twenty 5×7 photographs. Photos should be carefully selected for each family, to create two (or more) custom family albums. Extra prints. You will probably want to order extra photographs in addition to the main album and parents’ albums, for yourself or your parents to have some framed portraits at home, for members of the wedding party, and for other close friends and family members. 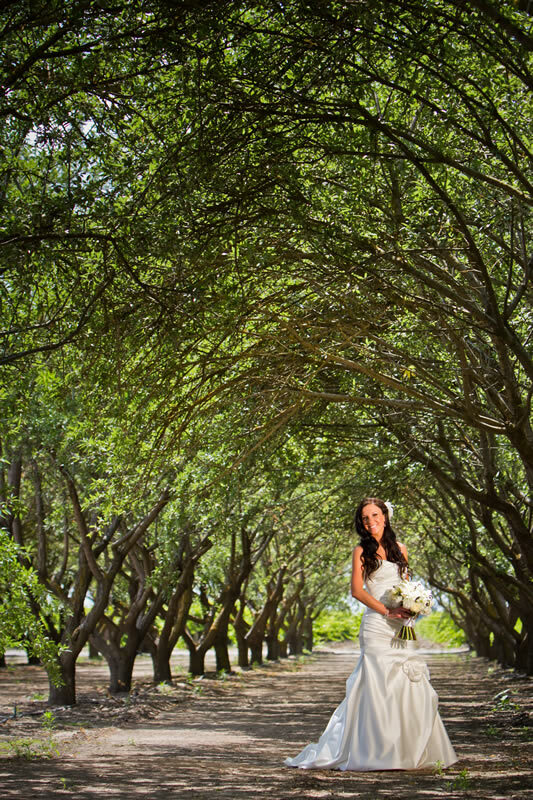 Don’t underestimate how many prints you will want after the wedding, as this will definitely impact your budget. Proofs. Ask your photographer how many proofs you will get, and in what format. They may be provided as small photos, in digital format, on the Internet, or on contact sheets. Engagement photograph. This is a posed portrait of the newly engaged couple, which can be sent to newspapers with information announcing your engagement. You may also choose to put a framed engagement photo by the guest book at your reception. What’s your wedding style? After you’re engaged and before you’re knee-deep in wedding planning, take some time with your sweetie and discuss your unique wedding vision. Maybe it isn’t the large, formal, Saturday evening affair. Or, maybe it is. Either way, it should ultimately reflect the two of you. 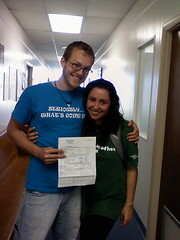 The most critical part of the wedding: the marriage license. Without it, you can’t get married. Call the office in your county that handles marriage licenses, and get all of the important details, such as when you need to apply, how much it costs, and what types of payment are accepted. Do this far in advance of the wedding! Track those gifts and thank you notes. It’s so important to have a fool-proof system to record gifts received and thank you notes sent. With a flood of gifts coming in, and so many notes to write, if you rely solely on memory you’ll become quickly overwhelmed. Thoughts of “did we send Aunt Velma a thank you note yet?” can haunt you. Use the buddy system for out-of-town guests. Try to assign a friendly, outgoing family member or close friend to any out-of-town guests, to act as their ‘ambassador’ for the wedding weekend. The ambassadors can greet guests at the airport, take them to the hotel, and suggest things to do. This makes out-of-towners feel welcome. Is your ring insured? As soon as bring your engagement ring home, make sure that you your homeowner’s or renter’s insurance policy is updated to offer adequate protection in the event of a loss or theft. Take the time needed to learn the details of the coverage – what is and is not covered, etc. Capture your day on video. If your budget is tight, consider hiring a good videographer to get quality ‘raw footage’ of your day. You can always go back later to create an edited summary set to music, but you can’t ever go back to your wedding day! Be a happy bachelorette. 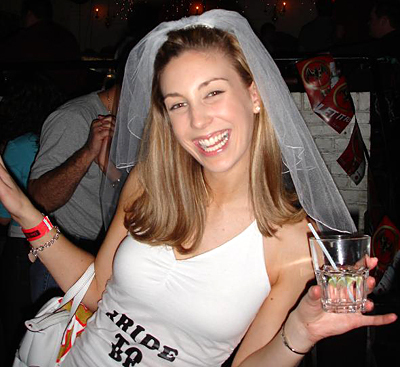 Be clear and articulate with your bridesmaids about the type of bachelorette party you would like to have. You don’t have to dictate the details, but if you want an ‘intimate gathering of friends to talk’ and they’re planning a ‘wild night at strip clubs’ you may feel a wee bit disappointed, not to mention uncomfortable. No facials the week before the wedding! Unless you’re a facial-getting regular, don’t get one just before the wedding. It can bring impurities to the surface and you don’t want to break out on your Big Day. Don’t make any major changes to your skin care routine the weeks before, for the same reason. Need a limo? Know the busy seasons! If your wedding is around the holidays or prom time, be sure to book your transportation well in advance, five to six months before the Big Day. 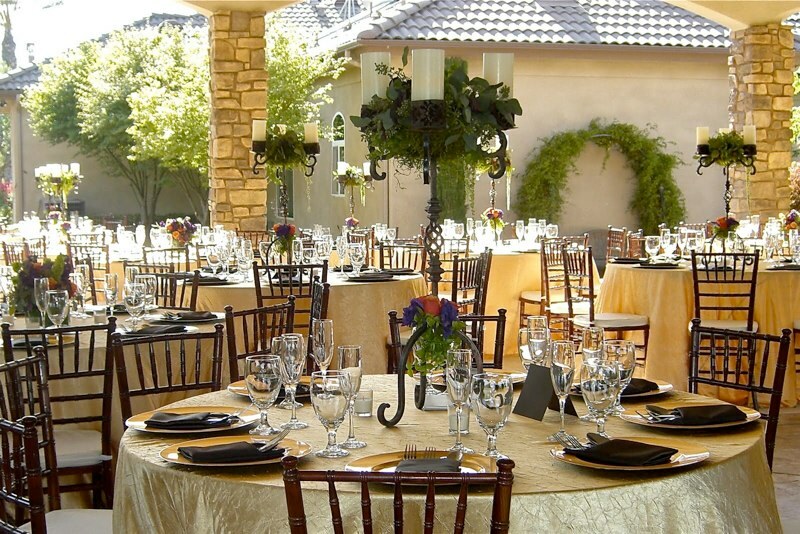 The secret to planning a fabulous, stress-free wedding reception is finding the right venue. By addressing several issues before you book your location, you can avoid costly mistakes and unwanted surprises, and have the reception you’ve always dreamed of. 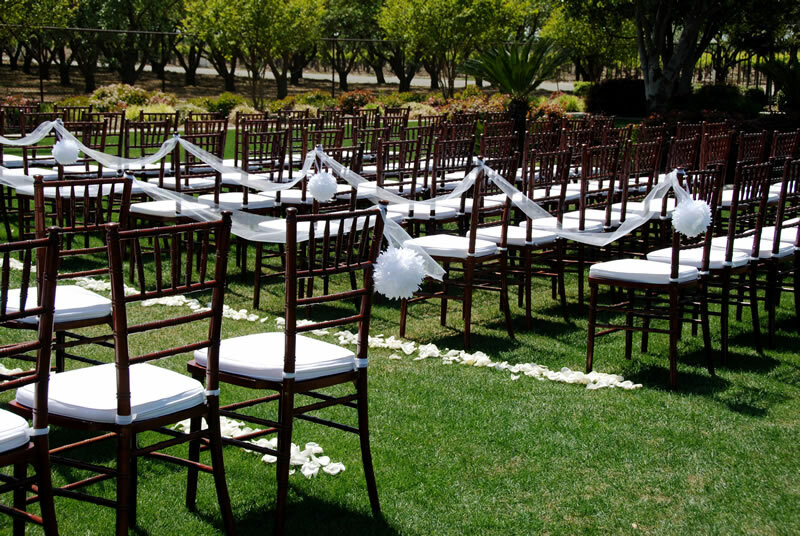 The first step for any wedding is to begin by setting the wedding date, size, budget and style. Once these particulars have been established your next major decision will be the reception location. If you already have a place in mind contact the facility manager and confirm availability of the date you’ve selected. This is also a good time to schedule an appointment for you and your fiancé to view the site. Don’t procrastinate! Choice locations are often booked one to two years in advance and prime dates go fast. If you have no idea where to hold your reception, try hotels, banquet halls, restaurants, community centers and country clubs. Other less obvious options are country inns, historic homes or mansions, city parks, college or university facilities, art galleries, museums and boats. Each location offers its own unique style and ambiance. There are two basic types of reception facilities: on-site and off-site. Most on-site locations provide the majority of services you will need for your reception: catering, beverages, tables, chairs, tableware, linens and serving staff, making this a very convenient option. The facilities normally charge on a per person basis, and have a minimum guest requirement. Such locations include hotels, private clubs and restaurants. Off-site locations offer the use of the facility only, providing no other services. You supply nearly everything yourself, paying a flat fee for the use of the site. The nice thing about off-site locations is the freedom to do everything your own way. 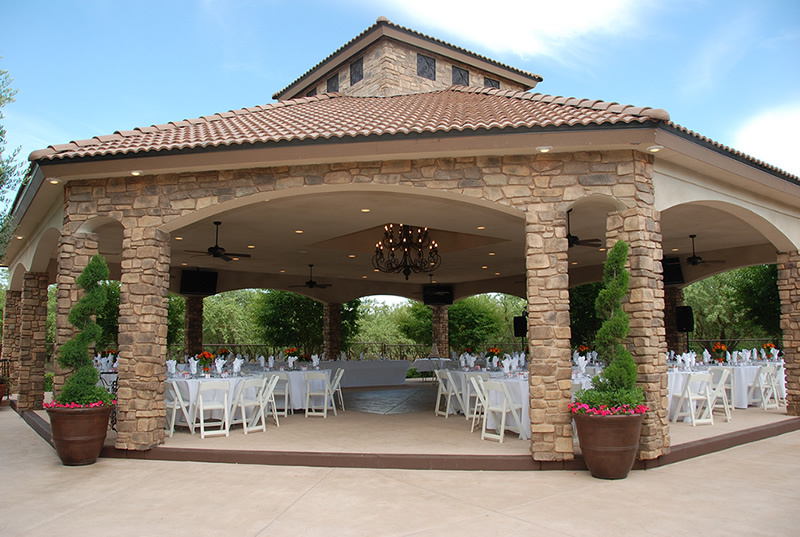 Increasingly popular for outdoor receptions is the use of party tents. Tents offer the ideal solution for couples who want to hold their celebration in a natural setting, but would prefer not to have their guests wilting under the hot sun or melting under a drizzle. Amenities range from beautiful archways and parquet floors to air conditioning and emergency generators. In your search for the ideal site, keep in mind the convenience and comfort of your guests. The traveling distance from the ceremony to reception should be no more than half an hour by car. Depending on the season in which you will wed, you might want to inquire about air conditioning or heating. Also check on available parking or valet service. While it may seem obvious to say so, the venue you choose for your wedding must have enough space to accommodate all your guests. There should be enough room in the dining area to allow for comfortably arranged seating and a reasonable view of the newlyweds for everyone. There should also be enough space between tables for you to move around the room and mingle with your guests. The facility coordinator will know the maximum number of people who can fit in the space, as well as the best table arrangements for the number in attendance. If your venue does multiple events, find out if there are other bookings at the same time or on the same day as yours. If so, ensure that there will be adequate privacy and separation for your celebration. There should also be ample time in between events to allow your caterer or other service people to set up or break down your party. Whether you intend to have a DJ or a band, inquire about possible restrictions regarding the type, volume or duration of music. Be sure to confirm that there is an adequate power supply for speakers, mixers and amplifiers, or good acoustics for string and wind instruments. Some sites have built-in public-address systems which can be used for introductions and toasts. If your site of choice doesn’t offer this equipment, make sure your DJ or musicians can provide it. 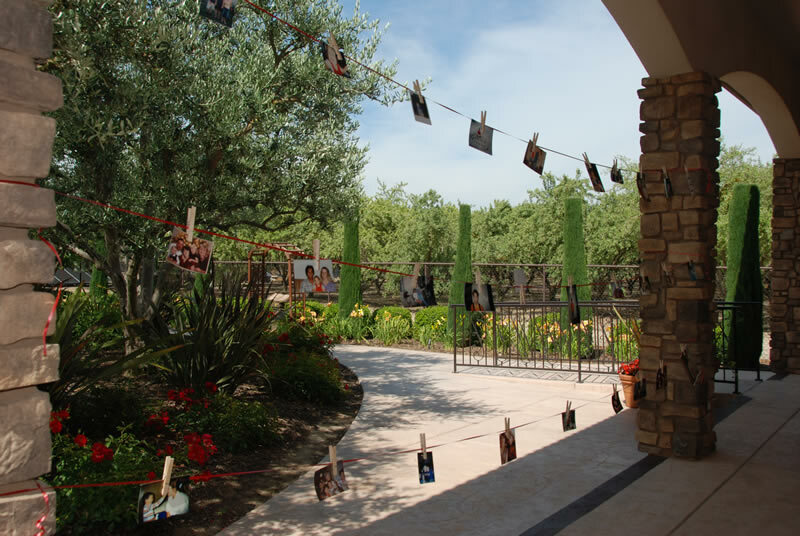 Your guests will get their first impression of your reception as they enter the building. But first they have to be able to find it. Clear signage indicating the way to the reception or cocktail area is a must. 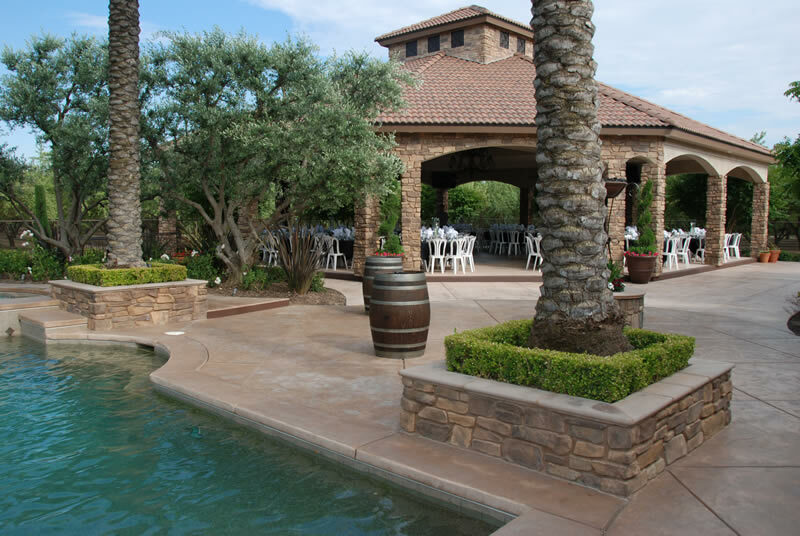 Whether your party starts with cocktails and hors d’oeuvres outside on the terrace before moving indoors for the meal and dancing, or the entire celebration is held in one room, make sure there is adequate space to receive everyone and to serve your guests while they await your arrival. You don’t want a backlog at the entrance because the doorway is too narrow. As with any event, there should be a designated person to keep the event running on schedule. This key person may be a wedding coordinator, your caterer or the facility manager. They’ll be responsible for timing of the cocktail hour, prompting your guests for the meal, cueing the musicians for the first dance, and coordinating with the emcee for the champagne toast, cake cutting, bouquet and garter toss. If this person is affiliated with the facility, make sure you meet them and are comfortable with their style before you book. Rates will vary significantly depending on the type of location, the number of guests to be accommodated and the time of year. Generally, the fee for a room rental is based on usage for a specific period of time, usually four to five hours. If you anticipate your reception running longer, confirm all additional charges. Typically, these charges will be based on half hour increments. All of the details for your reception should be delineated in a contract signed by you and the facility’s representative. To secure your date, a 50 percent deposit is usually required with the balance due on the day of the event. You may want to check on the refund policy in the case of a cancellation. As you’re find wedding locations that seem to suit your style, ask vendors about the following policies: catering, alcohol, bad weather, contingency plans, staffing availability, parking, decorating, deposits, refunds and insurance. Before signing the contract make sure you’re comfortable with the answers they give.